Botox® is a catchy brand name of a purified substance that is produced naturally by a certain bacteria. It is a neuromodulator meaning it influences the nerves. It is typically used medically to relax certain muscles to improve headaches or muscle spasms but has numerous indications in multiple medical specialties. In dermatology, we use it cosmetically to soften skin lines and wrinkles. We commonly use it for forehead wrinkles, “crow’s feet” on the temples, “bunny lines” on the nose, gummy smile treatment, and raising the corners of your mouth revealing a more youthful and receptive appearance. Are there more than one type of Botox®? Yes! 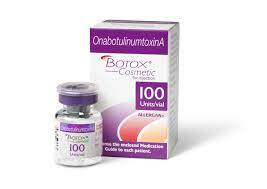 There are several companies that make neuromodulators but Botox® was the first product in this class. That is one of the reasons why the name Botox® is more well-known. 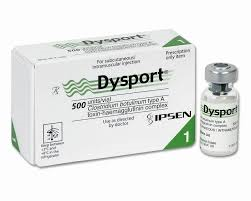 Two other popular companies make similar products called Xeomin® and Dysport® but the unit potency are not equal or interchangeable. Other companies are currently working on their own neuromodulators and a topical version has been studied as well. Absolutely! Botox® has been used medically for over 25 years and is among the most well-studied products in the entire cosmetic industry. Doctor Highsmith was actually a sub-investigator for a phase III clinical trial for a new neuromodulator as well as a sub-investigator to evaluate the safety and efficacy of Botox® for forehead and glabellar wrinkles. However, safety should be questioned if it is not administered by a trained, licensed, and experienced physician. You will look like yourself but with softer frown lines and wrinkles. Botox® treatment only takes a few minutes and does not require anesthesia. The key is that small amounts of Botox are placed precisely into the target area. Knowing the anatomy, the ideal target, and where to avoid are essential. We recommend that neuromodulators are only placed by a physician with ample experience and an excellent understanding of facial anatomy to optimize your treatment results. Are the results immediate or permanent? Some improvement may be immediately noticeable but most people gradually appreciate the full benefit within a week. You can expect the results to last about three to four months. We welcome your business and questions regarding neuromodulators. Contact us today to schedule your personal evaluation and treatment!